If you are an adult with diabetes who is using insulin, you may be interested in a study that is currently recruiting participants to evaluate the usefulness of continuous glucose monitoring (CGM) for improving blood sugar control. CGM devices continuously monitor the glucose level of the interstitial fluid (the fluid between the cells) via a small sensor inserted under the skin, updating results roughly every five minutes. This study will evaluate whether the use of CGM improves blood sugar control in people who are using multiple daily injections and traditional fingerstick testing. 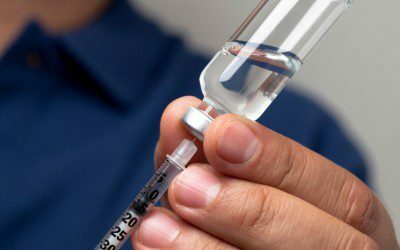 Further investigation will help determine whether there are any benefits of changing from multiple daily injections to insulin pump therapy in people who are already using continuous glucose monitoring. In addition to blood glucose control, cost effectiveness and quality of life will also be measured in each group. Eligible participants are at least 25 years old, have Type 1 diabetes or Type 2 diabetes that requires use of insulin, are using multiple daily injections, and are willing to wear a device such as an insulin pump or continuous glucose monitor. For more information about the research, including full inclusion and exclusion criteria and the locations of participating centers, visit the study page. And for questions about the trial, contact researcher Eileen Casal, RN, MSN, at [email protected] or (858) 875-9774, or researcher David Price, MD, at [email protected] or (858) 875-9525.